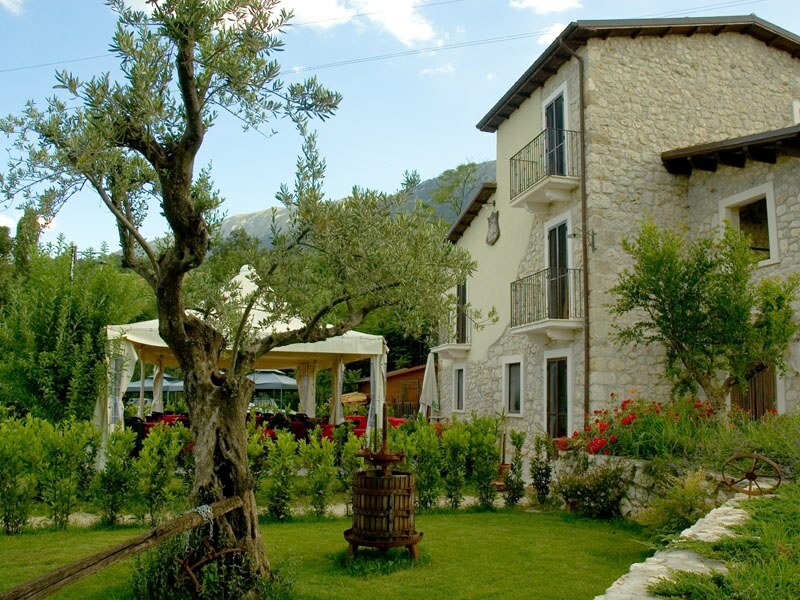 Locanda del Barone, situated in an ancient village of the Municipality of Caramanico Terme, in the heart of Majella National Park at the foot of Mt. 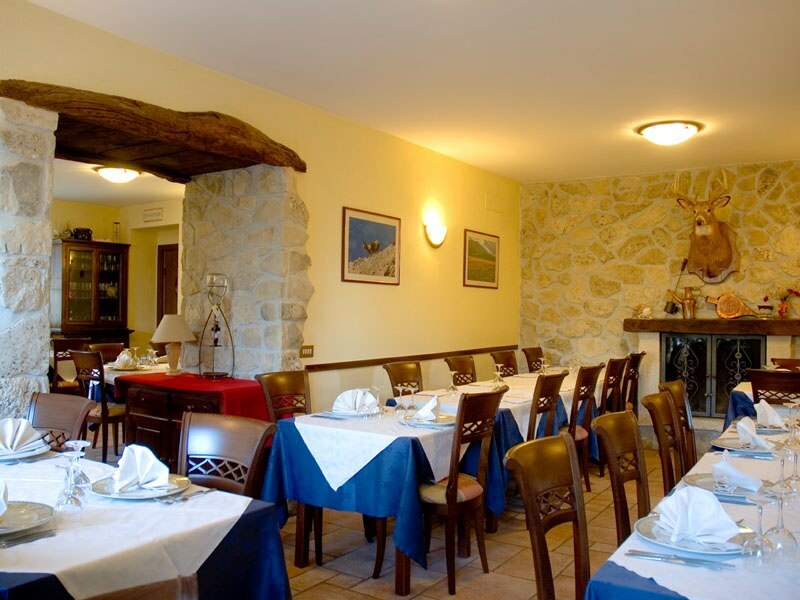 Morrone, offers restaurant service and tourist rural accommodation. Thanks to its position, it combines Caramanico mineral waters with the dry climate and the pleasant "mountain air" which is characteristic of the areas situated on the slopes of Majella, guaranteeing an ideal stay if you feel the need to regenerate. 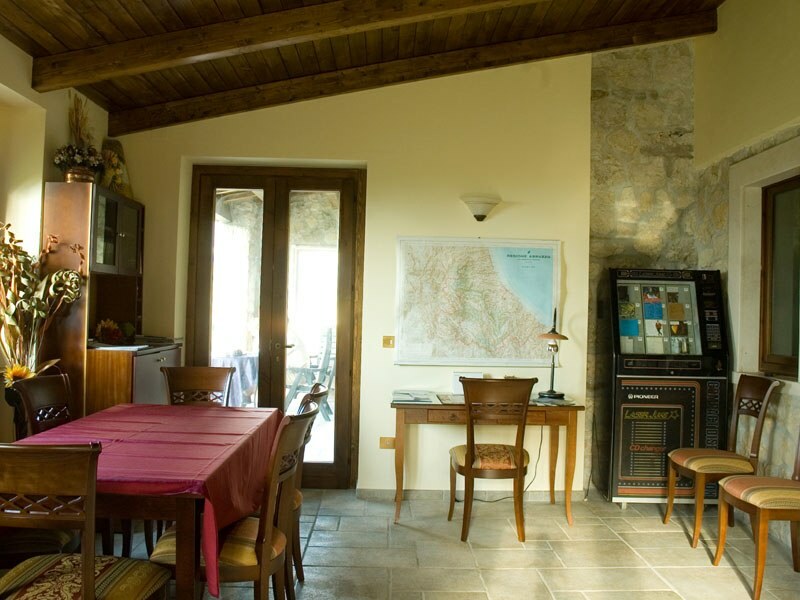 The extraordinary mountain environment of Majella offers a direct contact with local nature and history: from easy walks in the green to mountain trekking, to tours on horseback or by mountain bike, each itinerary will open unforgettable windows over natural monuments, abbeys, hermitages, and castles. The cuisine of Locanda del Barone is characterized by fresh, genuine, and local products. 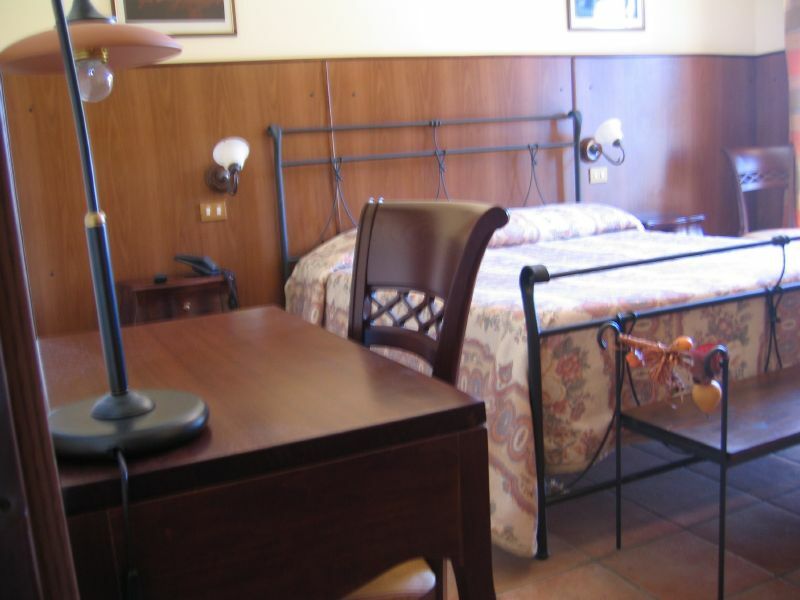 Warm, roomy, cosy (with roomy bathrooms, telephone, and satellite TV), like the Baron wanted them for his women Nunziatina, Mariuccia, Concettina, Annina, and Rosina, await you to cradle your nights until you will wake up in the morning surrounded by enchanting panoramas and the peacefulness of Majella National Park. Prices per day/person in double room. Extra charges and reductions: free overnight stay for children under 3 years of age; 30% reduction for children from 4 to 8 years of age. Caramanico Terme, an ancient medieval town, lies on a rocky spur at 650m a.s.l. 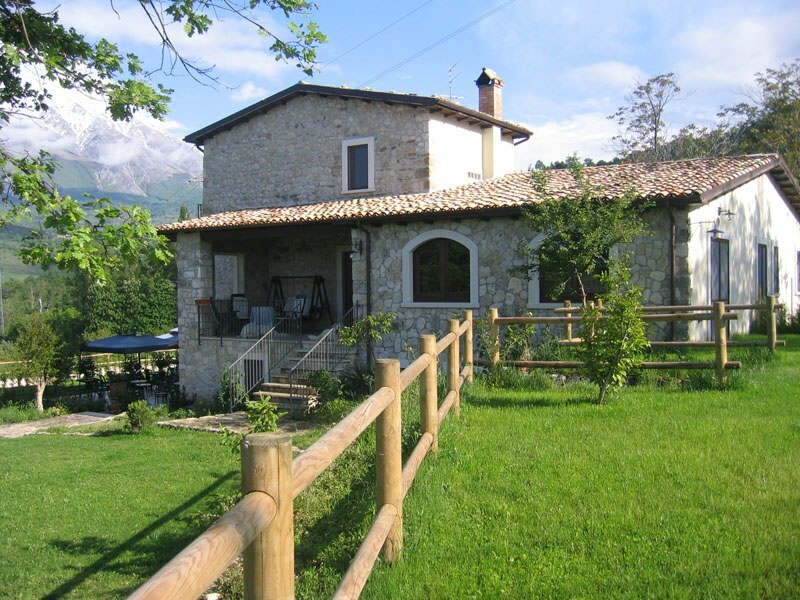 in the heart of Majella National Park between the valleys of Orta and Orfento rivers. Entirely surrounded by Majella massif and Mt. 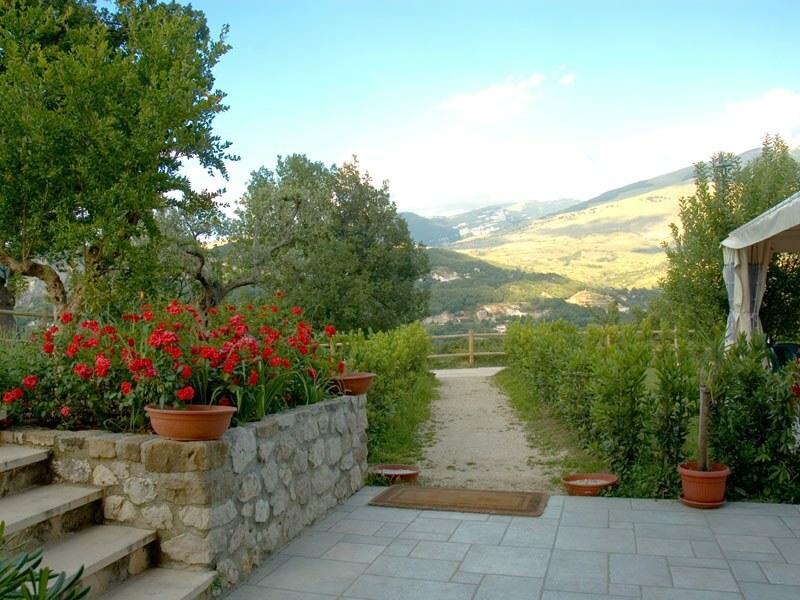 Morrone, it offers picturesque landscapes ranging over the surrounding valleys.